Ace släpper nu M & G! Med mindre än 2,5 vecka kvar till att Ace Frehley inleder sin Europa-turné så släpper han nu Meet & Greet-packet. Gå in på hans hemsida om Ni är intresserade, www.acefrehley.com . Note: Substitutions of equal or higher value items may occur due to availability. All items will be provided backstage before the meet and greet with Ace and will not be shipped. 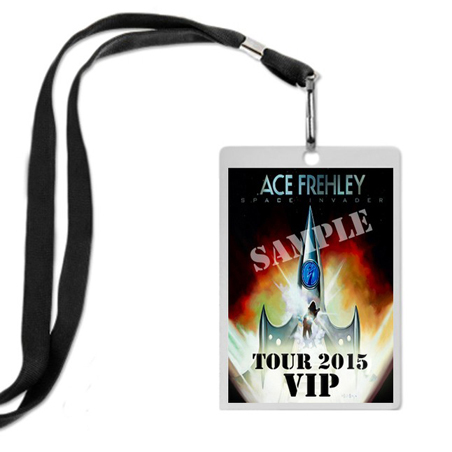 Your name(s) will be on Ace’s V.I.P. guest list and pass(es) will be available at will call. a concert ticket which must be purchased separately. • Please be sure to select the V.I.P.Experience in YOUR city!